Country living with a wonderful atmosphere. Minutes walk to Cafe's Restaurants, Museum, Steeped in history Greytown is one of the earliest towns to be settled in New Zealand. Magnificent settings of old trees and churches. This is the character town of the Wairarapa and beyond. A short drive to the wine areas of Martinborough Masterton Carterton and Gladstone. Catch a bus to the Martinborough Fair just 150 metres up the road. We have events almost every weekend,or just walk around the Boutique shops including antiques, clothing, sweets, food. and many other delightful experiences. If you have any specific needs please enquire. Please let owner manager know if you have any mobility issues, this is for access purposes. 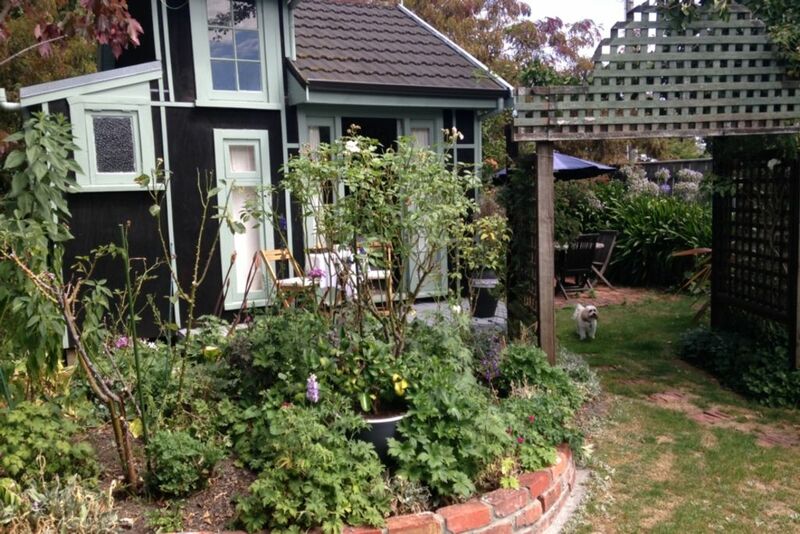 Greytown is a stunning boutique town in the hub of the Wairarapa 15 minutes to Martinborough. Off street and to right of driveway on entry. A small courtyard with outdoor furniture. Comfortable, cosy unit with nice outdoor area for afternoon drinks. Good location just off Main Street, nice cafe within 100 metres, comfortable, cosy accommodation and lovely, friendly, helpful hosts. Great guests thoughtful and considerate. So pleased everything went well with their stay. Lovely, very genuine and honest host - Teresa. Excellent communication and very genuine guest. Would love to host again. Perfect place to stay. Very central and lovely presented accommodation. Very friendly and welcoming hosts. We so enjoyed hosting these folks. We loved having a social time and appreciated their consideration and thoughtfulness. Look forward to another time together. Great guests I hope to see them again.